More than half of the world's population is currently connected to the Internet. According to the Statistics ,In Egypt the number of Internet users are 49.23 million which represents 50% of the whole population.As Isaac Asimov said before ''I do not fear computers. I fear lack of them" ,Technology is not scary if you use it wisely.In Egypt, the majority of the population uses the internet in the social media website which is good but not good enough. There is a huge gap between the rural areas in Egypt and the rest of the country and this gap can be explained by other demographic realities such as the fact that rural residents as a group are older, less wealthy, and have lower levels of educational attainment than those in urban and suburban areas. v The competitions will be introduced in our platform according to the kids age and ability. v There will be academic competitions and entertainment ones for example : essay , crafts , music & short stories competitions. v There will be academic resources ,there will be fun methods to help kids learn like animation videos which will encourage them to learn more and this is better than the books which are boring for kids. v There will be an online library in our platform which have a lot of colorful and interesting books which will give the kids a push to read and learn and change their opinion about reading. v There will international teachers which kids can communicate with them in our platform and discuss with them. v The kids can ask for personal tutors if they have any problems and our platform can connect them with teachers. 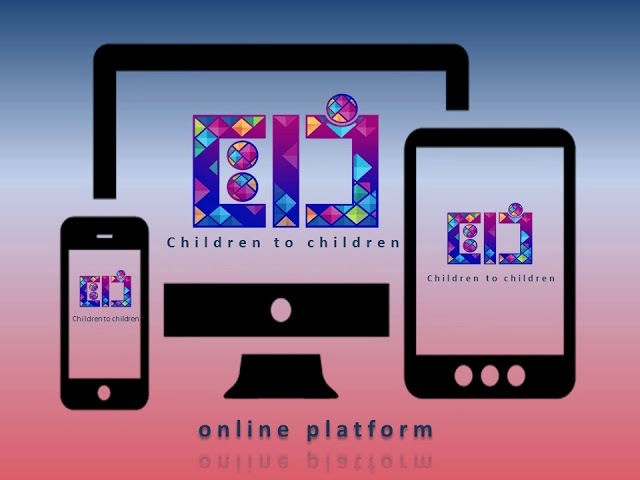 - We will open the door for volunteering in our platform which will let kids and adults we introduce them to our platform apply to volunteer as Our ambassadors and inform other children of the way our platform works. v In Egypt there are many schools that have smart boards but have no access to internet so we will let them enter the competitions between international students that will allow them to get fund in their schools and get the internet connection and improve , this way they will believe that their efforts are worth it and they can make a change by themselves. v Donation will be included in our platform to let other kids get the funding which will help them enter our platform and benefit from our platform. - There will be an exchange opportunities between the students to learn from each other more like scholarships which allow students know more about other cultures and enjoy themselves.